Through life, Adam gets estranged from Eve through distress but nevertheless holding into the “hope – life buoy” to meet someday somewhere at the unforeseen edge of time and space to embrace the long awaited union. Years and places do not dim the eagerness of those who want to unite when unconsumed passions fuel our train of feelings; we might repress them for the sake of peace but the inner fire never dies in dreamers. The landscape of human emotion changes but the hope for longing is a constant in the journey. Even triumphant episodes when exiled can never fulfill our buried desires, we still remain happy slaves to hope when we believe. Dressed in white and in silence in their obstructed journey they persistently and relentlessly carry erosional stones and undimmed dreams of yesterday. The lovers encounter on the blue river of hopes and dreams is still long and unfinished under changing colors skies. And tomorrows come sooner than expected. One chapter leads to another while we spin and float in the circle of life and hope which is our survival and liberation robe. Spread your wing in the wide skies of dreams. 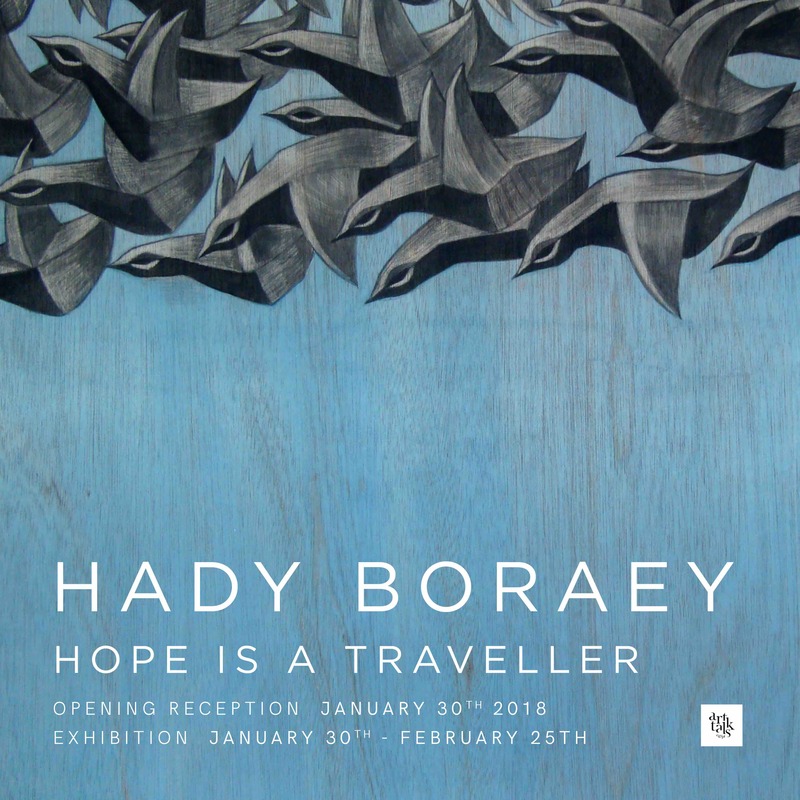 ArtTalks is proud to present Hope is a Traveller, the third solo exhibition at the gallery by Alexandria-based visual artist Hady Boraey (b. 1984). After his high acclaimed first solo show in 2014, Beyond Borders, Boraie earned his PhD in 2015. In 2016, he established himself as a coveted artist through his exhibition Towards The [un]KNOWN. 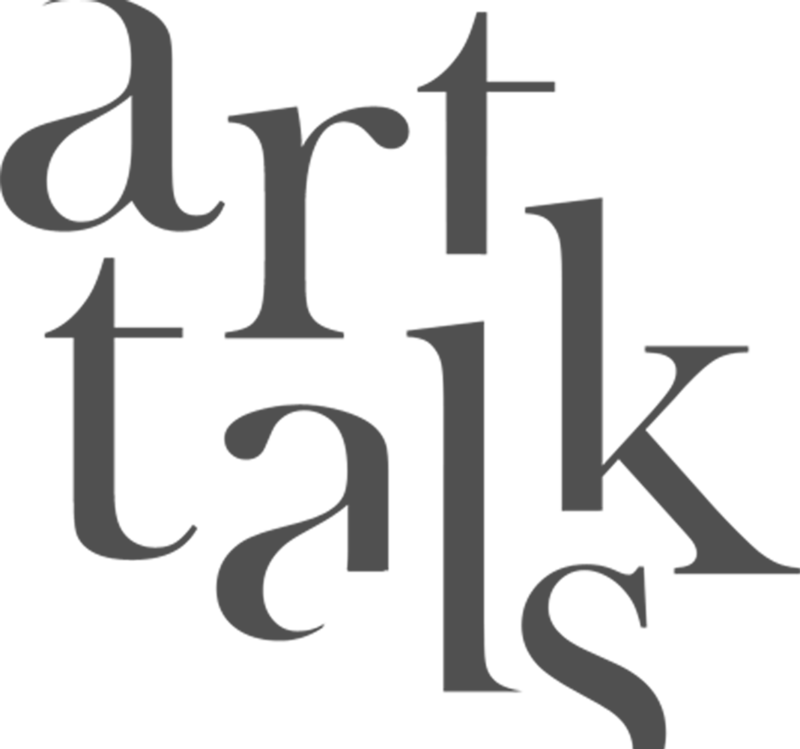 He earned a BFA (2005), an MFA (2011) and a PhD (2015) from the Faculty of Fine Arts, University of Alexandria, with highest honors and participated in over forty group exhibitions in Egypt and abroad. Hady Boraey received the medal of appreciation from the Bibliotheca Alexandrina and various other awards from the Faculty of Fine Arts in Alexandria, the Ministry of Culture and several institutions. Boraey lives and works in Alexandria.